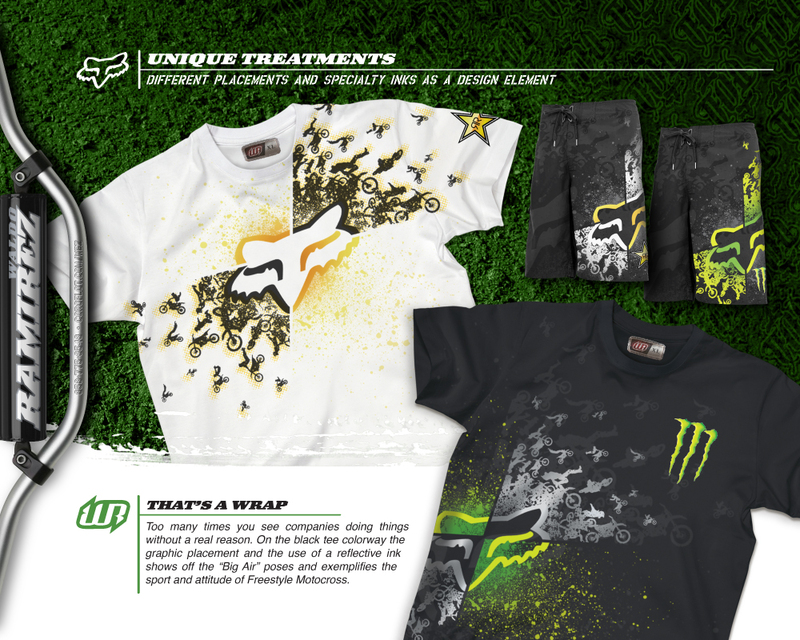 This is a self promo targeting Fox Head, the world leader in motocross apparel. 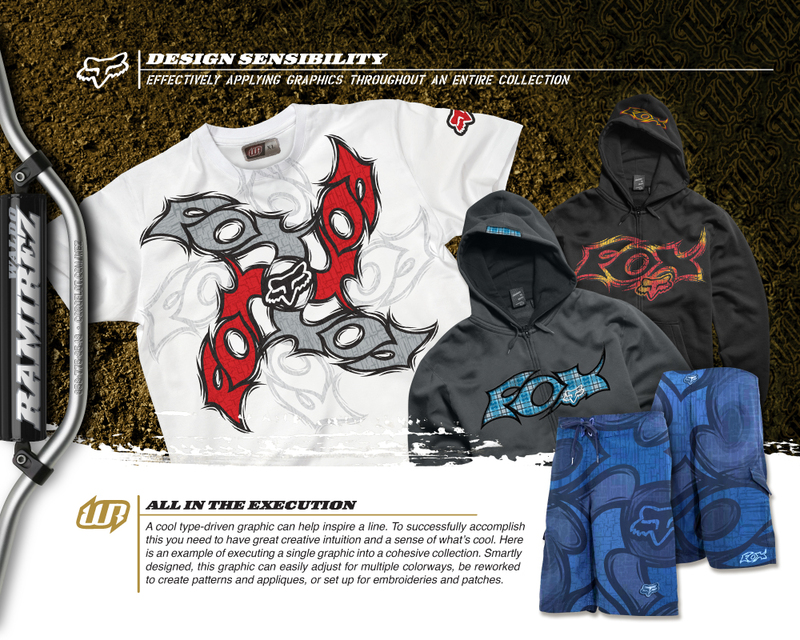 I targeted Fox because they are a leader in the action sports industry, they bring a fashion-forward style to their gear and I love their attention to details in all they do. You can tell they are passionate about making great, authentic products. 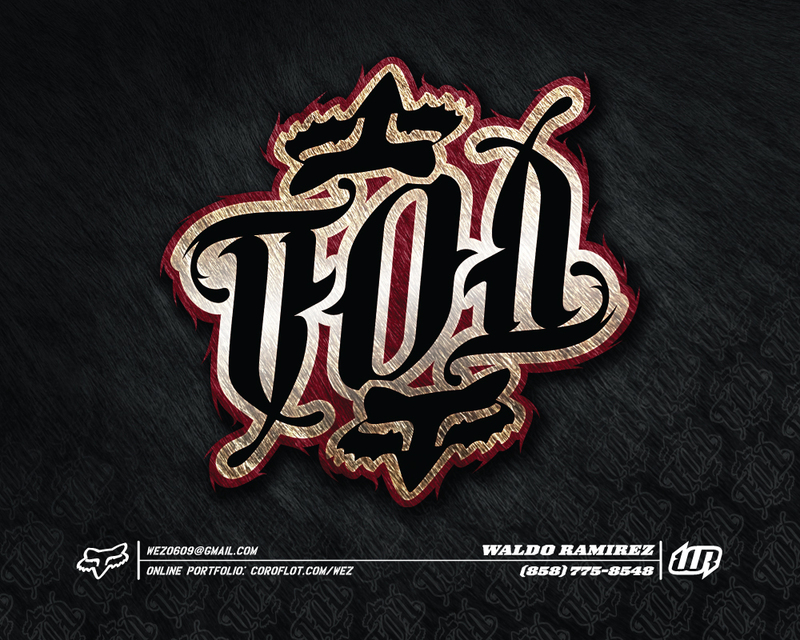 I tried to create a promo that displays my vision, skill set and that same passion. 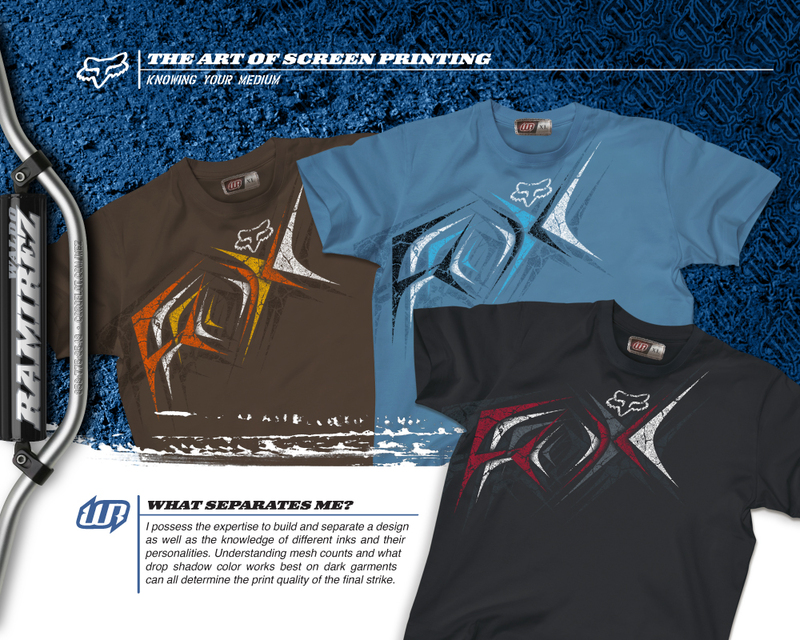 Fox does a great job at creating different logotypes and applying cool treatments to the Fox Head mark. 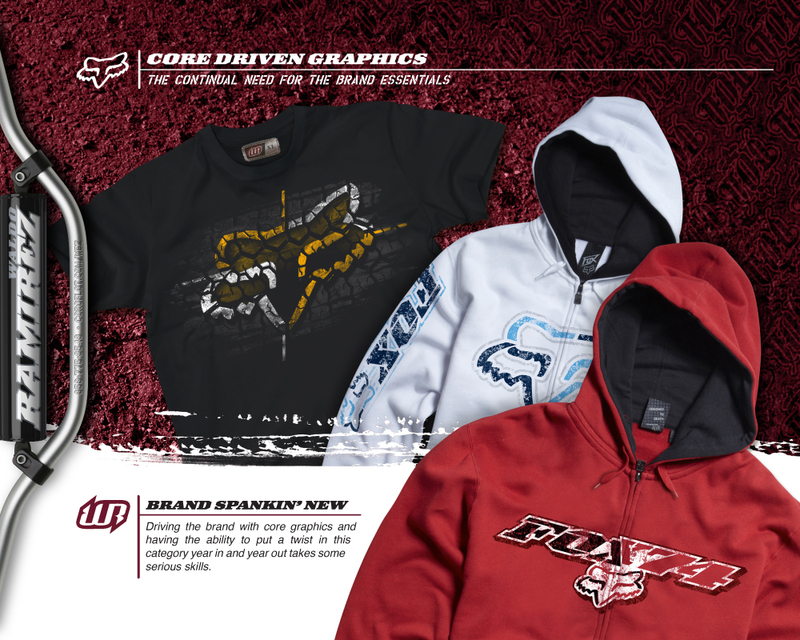 Many apparel companies are strict when it comes to manipulating their logo, and with good branding reasons. I think Fox practices the perfect balance of maintaining the brand image while keeping things fresh. 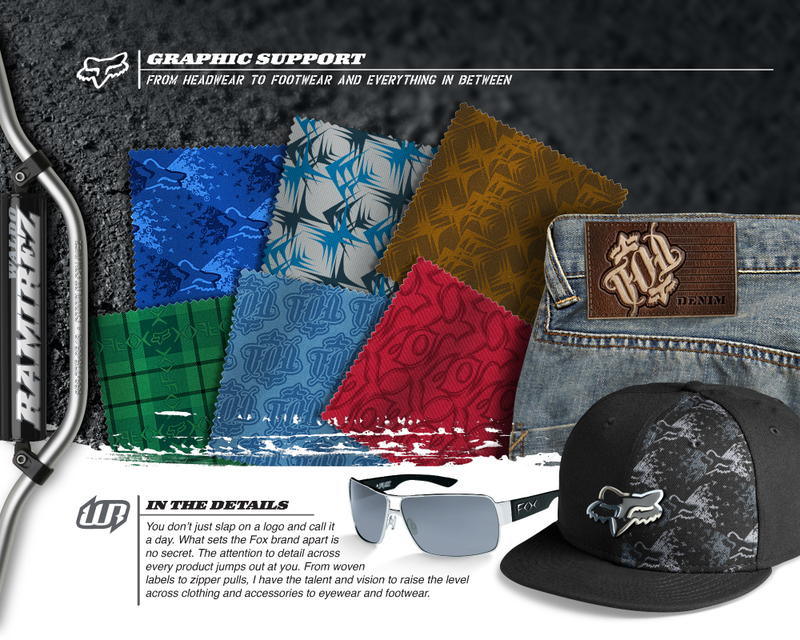 So in that spirit I created different logos and applied them to everything from hats and shades to patterns and labels. My favorite logo is the one I used for the cover, it’s an ambigram (looks exactly the same upsidedown) so no matter what tricks their riders are pulling off, the logo is always right side up. 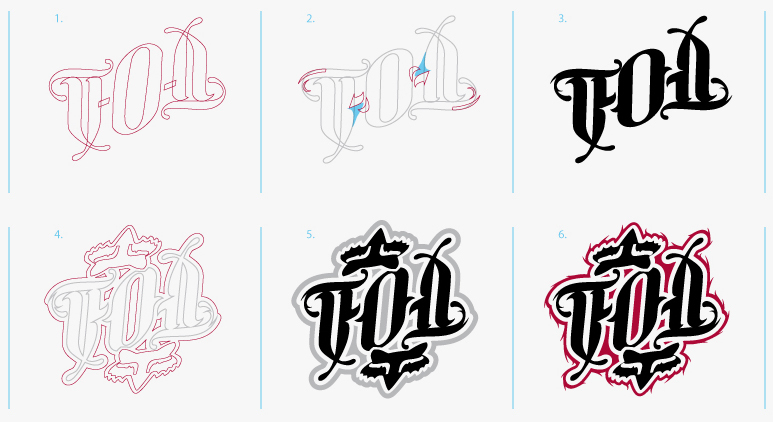 Below shows the ambigram’s development.